Министерство авиации отменило свой первоначальный заказ на Silver Streak, но потребность в цельнометаллическом самолете для работы в Ираке все же заставила возобновить контракт. Два самолета ДальшеMore>>> были построены под обозначением S.3 Springbok I, следом настала очередь трех S.3a Springbok, имевших поверхности управления с полотняной обшивкой. В 1927 году один самолет был переделан и вновь поднялся в воздух под обозначением S.3b Chamois - он предназначался для использования в качестве самолета взаимодействия с армейскими подразделениями. Но ни одна машина на службу так и не попала. Short "Chamois" (Bristol "Jupiter"). The Short "Chamois" is a development of the "Springbok," produced for the Air Ministry a little while back by Short Bros., of Rochester. Unfortunately, no photograph of the "Chamois" was available in time for publication here, but we show in the accompanying illustration the "Springbok," which is very similar in general appearance to the "Chamois," differing only in minor details. This series was designed as two-seater reconnaissance (corps) of fighter, in which metal construction was largely employed. The Short "Springbok" is an all-metal two-seater fighter with 400 h.p. Bristol "Jupiter" engine. AT THE R.A.F. DISPLAY: The Short "Springbok" Army Co-operation (400 h.p. Bristol "Jupiter"). 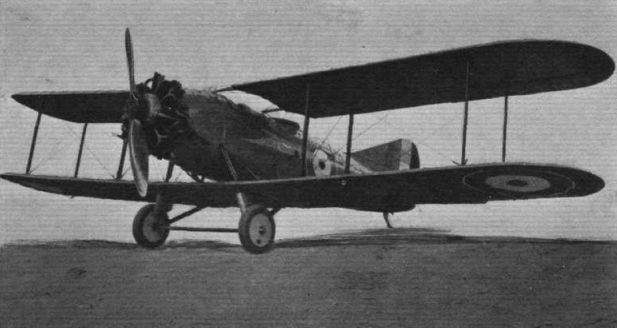 S.3a Springbok, облетанный в 1925 году, являлся бипланом-разведчиком, однако характеристики оказались неудовлетворительными, и машина в серию не пошла. "NEW AND EXPERIMENTAL": Some of the machines which took part in the "Fly Past" at the R.A.F. Display. (1) Short "Springbok" (400 h.p. Bristol "Jupiter"), an all-metal Army Co-operation biplane. Short "Chamois" (Bristol "Jupiter"). Short Brothers were the first firm in England to produce an all-metal aeroplane (in 1919), and although they have mainly concentrated on seaplanes, several interesting aeroplanes have been produced, of which the "Chamois" is one. 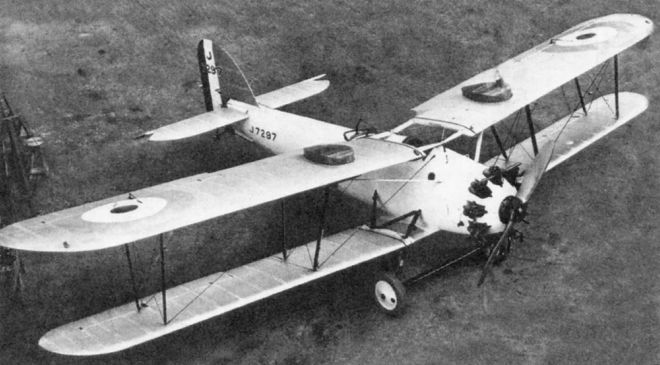 This machine, a night bomber, is built almost entirely of Duralumin, and incorporates a number of constructional features patented by Short Brothers. Thus the fuselage is entirely of this material, even the covering, the fuselage being, in fact, built exactly according to the same principles as those upon which the Short metal flying-boat hulls are based. SHORT S-3b CHAMOIS. A little-known corps reconnaissance (army co-op.) biplane of the mid-1920s is the Oswald Short-designed S.3b Chamois, J7295, first flown by the well-known C.T.P. J. Lankester Parker at Lympne aerodrome on 14th March 1927. The Chamois traces its history from the Silver Streak, which was exhibited at the 1920 Olympic Aero Show. The Air Ministry purchased the Streak and tested it for two years at R.A.E., Farnborough. 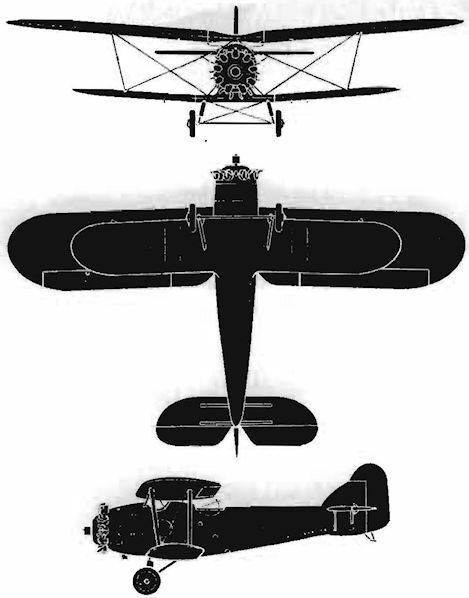 In due course the Air Ministry issued a "Bristol Fighter-replacement" Specification (19 /21) for which Short Brothers contracted to deliver two S.3 Springbok I two-seaters. Powered by a 400-h.p. Bristol Jupiter IV radial, the S.3 (J6974 and '5) was truly all-metal, with duralumin monococque fuselage and two-bay, equal-span wings. The strength/weight factor of the mainplanes was disappointing and the Air Ministry ordered three more Springboks with lighter, fabric-covered wings attached directly to the lower fuselage and redesigned tail assembly. The first of these S.3a Springbok IIs (J7925 to '7) was flown by J. Lankester Parker at the Isle of Grain on 25th March 1925. The Chamois of 1927 represented a second attempt at the basic specification. The airframe of the first Springbok II (J7295) was stripped and adapted to take the more powerful 450-h.p. Jupiter VI. Like the Springbok, the S.3b Chamois had a cut-out in the upper mainplane for the pilot's head . No data is available (apart from length 26 ft. 11 in .). The 27th April-onwards trials by A & A.E.E., then at Martlesham Heath, intimated a disappointing performance, and the only prototype was scrapped.